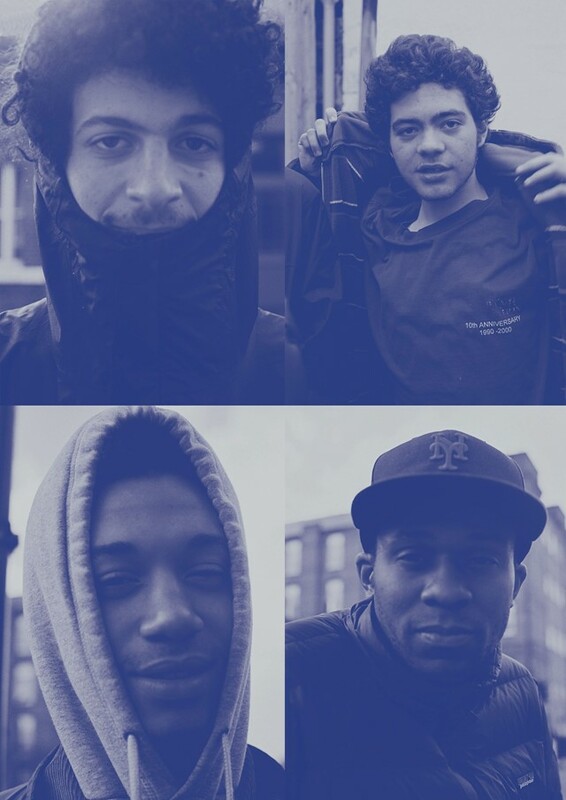 New York rap crew Ratking are holed up in a Dalston bedsit, sleepy-eyed on the sofa. It’s the morning after their feisty and infectious London show and a subsequent late-night session at pal King Krule’s pad (he debuted his hip hop side-project before they played). The tiredness is also due to watching Obama’s second-term victory when they finally got in. “We saw Romney’s concession speech – he looked like he was working at McDonald’s or something,” laughs producer Sporting Life. Sat next to him is Wiki, the group’s nucleus. The sparkly-eyed rapper is newly missing a couple of teeth but it suits him, adding some gravitas to his boyish demeanor. Having written lyrics since he was 11, Wiki released a free mixtape earlier this year, produced by Sporting Life. Childhood pals Hak, a rapper, and Ramon, a producer/VJ, soon got on board for live shows and Ratking was spawned. Their debut EP, Wiki93, is based on Wiki’s mixtape, but has been fleshed out to incorporate Hak’s verses and Ramon’s effects and visual influence.